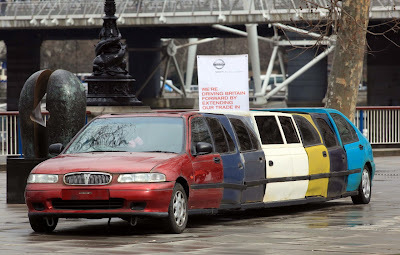 Cool 11m Scrappage Car - This cool 11-metre car is created out of more than 2000 scrapped car parts including a door from a limousine and a set of furry dice. 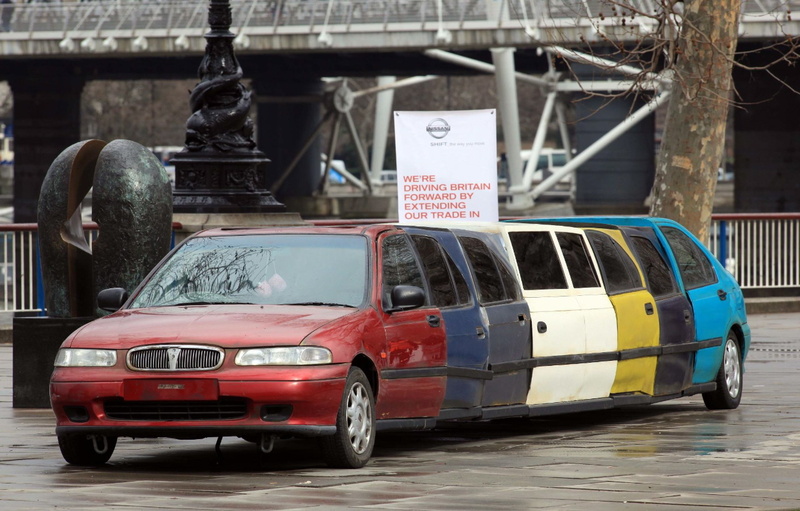 The car is advertised as having 'one careful owner - and any number of really, really careless ones'. 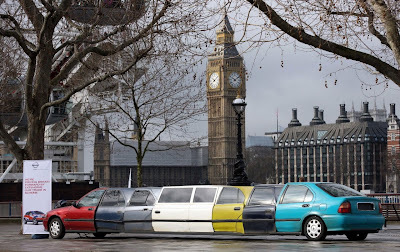 It was created by a reputable British sculptor, a commission for a car maker in the United Kingdom. 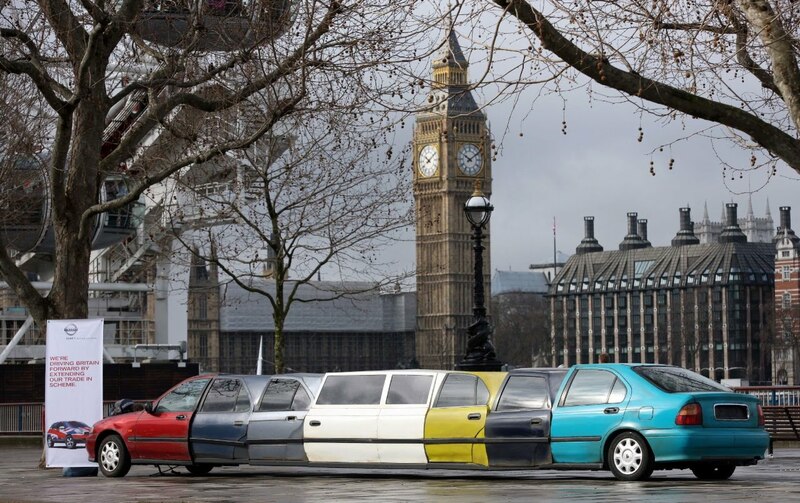 Nissan was seeking to make a statement about the effectiveness of the UK Government's Scrappage Scheme. The deal saw generous incentives offered to new car buyers who were willing to trade in their eight-to-10-year-old vehicle to be scrapped. It is credited with keeping car sales ticking along through the worst of the recession last year. Downing Street is pulling the plug on the car scrappage scheme in the UK, but Nissan is among manufacturers now offering their own trade-in system, which they say will put more people in cars meeting the strict Euro 5 emissions standards. In Nissan's case, that's a $5000 minimum trade-in for any vehicle over seven years of age traded on any new British built Nissan. Effective until the end of June, the deal covers the Micra, Note, Qashqai and Qashqai-Plus.